Is this the world’s best boss? It’s not often you’ll spend A$15m (£10m) on your business, with nothing physical to show for it, and still end up plastered across international media. No ad billboards, no TV commercials, no giant sofas, no flying people. 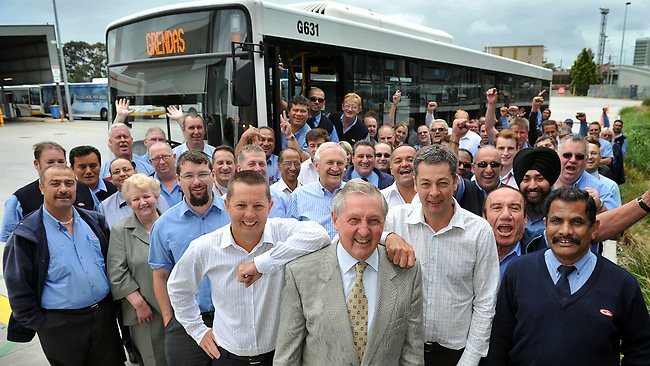 Instead, Melbourne bus company owner, Ken Grenda, dished out average staff bonuses to the tune of A$8,500 each to 1,800 staff when he sold the firm for a whopping A$400m (£270m), simply as a thank you for helping Grenda Corp succeed. The story has featured in media around the globe, with people hailing Mr Grenda as “the world’s best boss.” And I’m sure Ventura, the company that bought Grenda Corp last year, isn’t complaining about all this publicity, that hasn’t cost them a cent! The generosity of the Grenda family is attributed to good old Granny, who, according to one employee, “…used to bake a cake for staff every year…” Grenda has truly lived up to its claim of being “a people-oriented” company.